Enhance Your Prized Possessions Using Our Easy, Online Platform. At Quick Jewelry Repairs, you can have same-day repairs and save a trip to the jewelry store. We offer an array of services, even taking on the complicated repairs local jewelry shops often refuse. 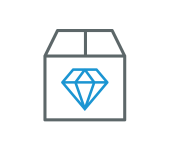 Our pricing can’t be beat with services 3-5x cheaper than other jewelry retailers. Plus, you gain access to our around-the-clock customer service if you have any questions regarding your order. Most services include advanced pricing and instant payment options. Few services require additional details to provide accurate pricing. Most orders are completed and sent back the same day your item(s) arrive to our facility. Add all desired services to your cart and customize the details for each item to receive final pricing at checkout. Once your order is complete simply follow the instructions provided with the shipping label to properly ship your item(s) to our facility via FedEx. 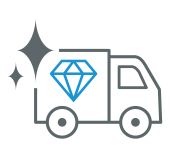 Most orders are completed and sent back the same day your items arrive to our repair facility. Once your items ready to ship back you will be notified and sent a FedEx tracking number.